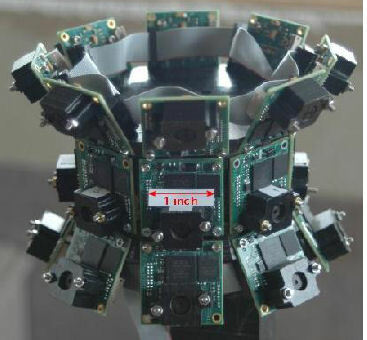 The camera at left is less than 4 inches in diameter and has been produced for the Defense Advanced Research Projects Agency (DARPA) for providing full situational awareness in remote regions. This display “stitches” together eight cameras for 30 Hz real-time display on a PC. 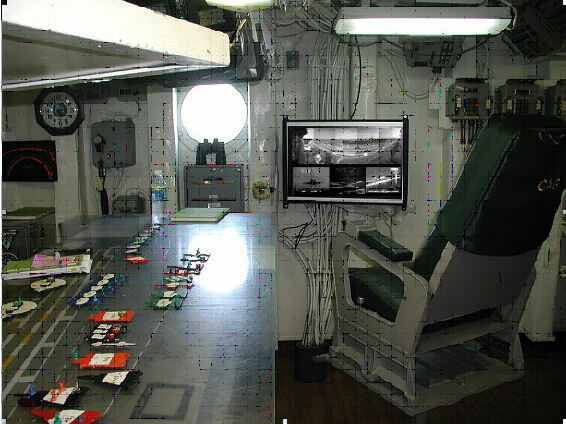 One system is shown in Flight Deck Control. This system is designed to be used by 19-23 year old sailors with little to no computer training. 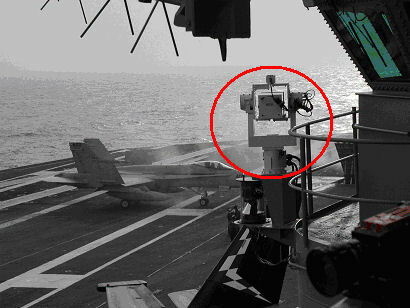 This particular system allows the sailor to use a joystick to control either of two high speed pan-tilt-zoom units, track objects and people automatically, semi-automatically, or manually. The sailor can switch between infra-red, visible and low-light cameras with buttons on the joystick. We’ve built or used COTS pan-tilt-zoom (PTZ) cameras to augment fixed staring angle camera imagery. Proprietary software automatically slews, zooms and focuses the PTZs and embeds the imagery in full surround displays. The software also automatically tracks moving objects and keeps the object centered in the PTZ window.